When you are new on a job, sometimes you may feel lost. The first few days often don't have the amount of direction required to perform at your peak right out of the gate. 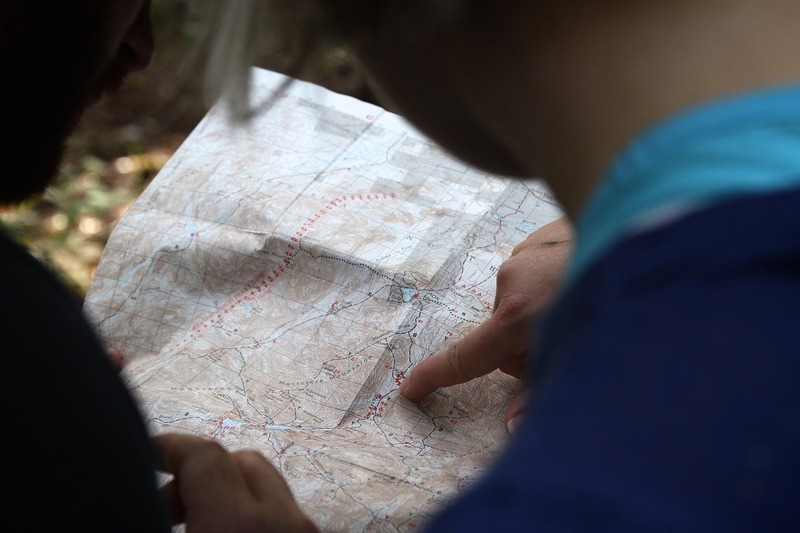 Fortunately, you can find your way easier than following a treasure map with a few lists and a few actions. Start with a list of everything you know that you need to get done. Chances are, on your first few days, this list will not contain enough to keep you full of work, but it should provide a starting point to get something done. More importantly, this list gives you a map to accomplishing something that you can call work product. Most likely you can create a much longer list of things that you don't know than you do when you first start. Some of your list will consist of mundane items like learning the layout of the office building, determining the dates of your paydays, and getting invitations to team meetings. You should have some more detailed items, though, and some related to your work. Who are the right contacts for your project? How do you utilize the systems involved? Who can help you if you have issues? And importantly, what could you possibly not have thought of yet? You might find trouble asking how to do basic tasks that should be part of the job description (if you were hired as a Java programmer, asking how to program might get you an exit as quickly as you joined). But asking general questions of your peers or boss is forgiven at first. You're the new person, so everyone expects you to have questions. Use this grace period generously, too, because once you are (or should be) established as an employee, people might become less forgiving of your questions and start considering you "needy" or "unable to learn." You can easily fall into the trap of being overwhelmed when you first start and clam up in group settings. Remember, they hired you for your experience and skills. You have something to offer to the conversation. There may be history and experience with your peers that can provide context, but your new ideas or outside perspective can be a valuable tool in forcing the incumbents to think differently or to reevaluate some of their preconceived notions. Speak up and offer your opinion. It has value. Those around you have a valuable commodity that you can benefit from: the same knowledge and history that your experiences can challenge. Don't fall into the trap of thinking that you alone will change the world. You can certainly adjust perspectives, but those around you also can offer valuable history, knowledge of the politics and power around the office, and information that you can amass in your first few days or weeks on the job that will be useful to you in months and years ahead. Most importantly, when you start something new, start moving. Start doing something. Start producing for the employer. You will not be perfect at first, but as a new team member, nobody expects perfection. They likely do expect production. So take a stab, make something or do something. Ask for feedback. Adjust and try again. Work through your lists and ask for more to fill them up. Doing something will always earn you more respect than doing nothing. What other tips do you have for newbies on the job? I'd love to hear about them.